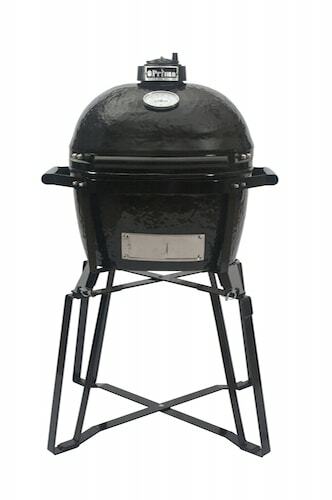 Primo Ceramic Grills will kick your backyard BBQ up a notch this summer! Featuring a two-piece cradle and base that offers portability and at-home use without the need for a grill table or cart, these top of the line grills easily detach it from the base by removing the four pins for maximum portability. Use it in your backyard and then easily take it tailgating or camping. A team of two can easily use the sturdy carry handles on the Primo GO to transport it. The grill can be used on a truck tailgate, on a picnic table, or even at ground level on a stadium parking lot. Bring along the Base for stand-alone use, or leave behind in the backyard. Come into the Denver or Cornelius locations today to learn more about this exciting new offering at Lake Norman Pool & Spa. For more information, visit www.primogrill.com/en-us/products/primo-go or call 704-878-6699.